OOTD - Cold, Rainy Style feat. 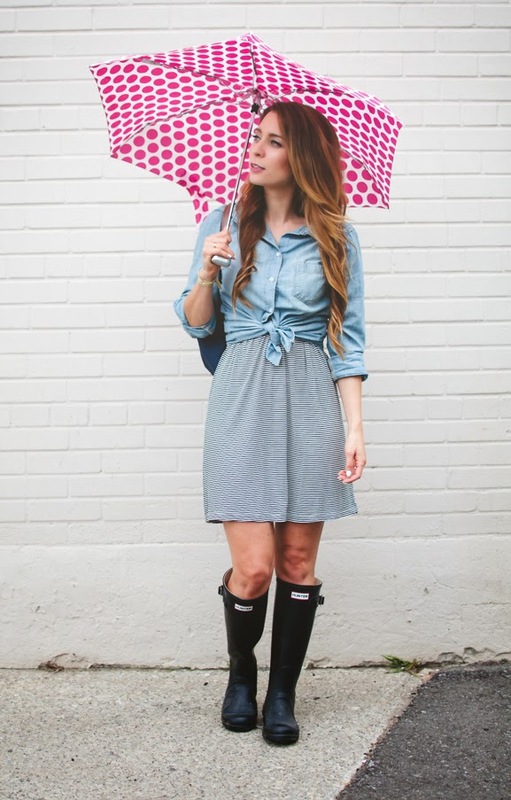 Hunter Boots | La Petite Noob | A Toronto-Based Fashion and Lifestyle Blog. How do you cope with the cold, rainy weather? Definitely going to get them now! Cute! 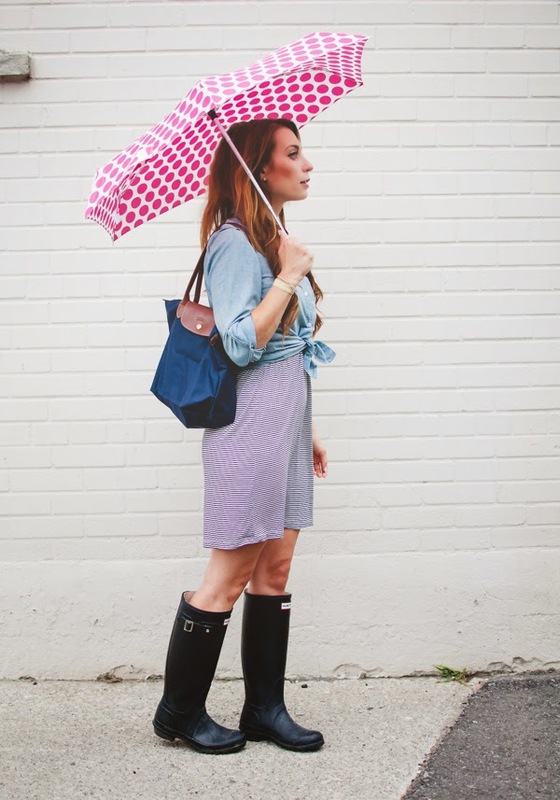 I have yellow Hunters (as well as a yellow umbrella)--they're a perfect pick-me-up on rainy days! A yellow umbrella sounds amazing! I always wear my Wellingtons when it rains, I just hate getting my Tights splashed and have 3 pairs to go with different outfits, shiny black and violet Huntress Womens Wellingtons and chocolate Hunter Womens Wellingtons and seeing you wearing your black Wellingtons makes me very happy you look gorgeous and it would be lovely to see you wearing red Wellingtons you would certainly add a little cheer to a gloomy day. 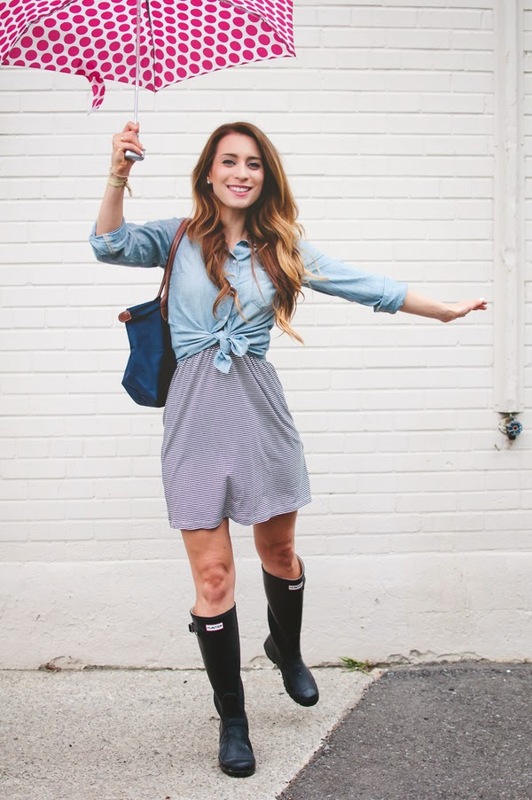 Super cute look! 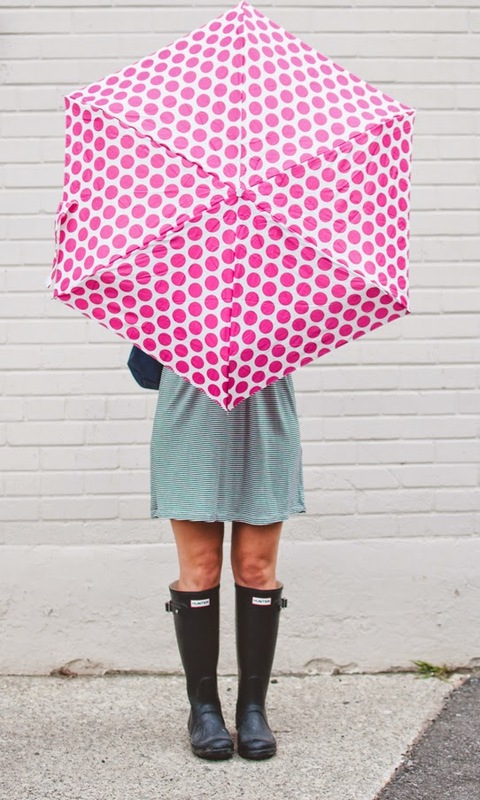 I love bright umbrellas like this one. It's nice to have something so colorful on a rainy day. So true, they almost make the rain bearable! You are seriously TOO CUTE! I want a pair of hunters so bad...are they comfortable? What model did you get?? Looking fabulous again in those gorgeoud boots! Cannot wait for fall to wear mine regularly! 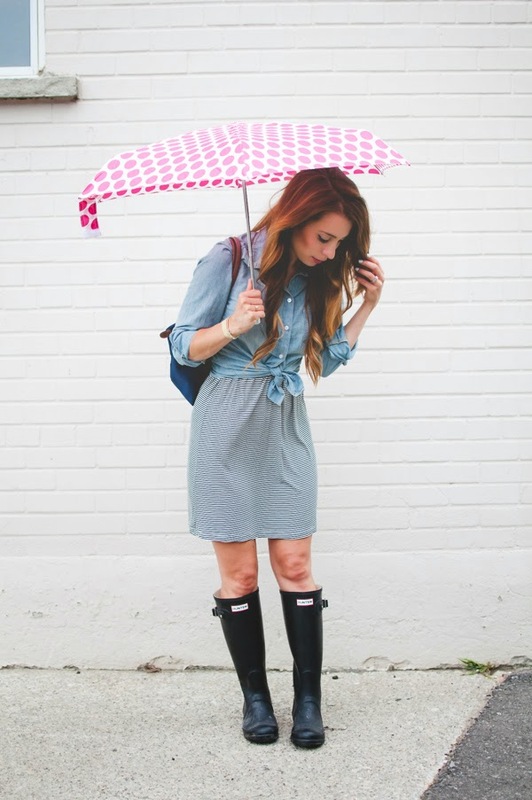 Such a cute look! Perfect for fall time!